The South African Government has deported 97 Nigerians for allegedly committing various offences in the country. 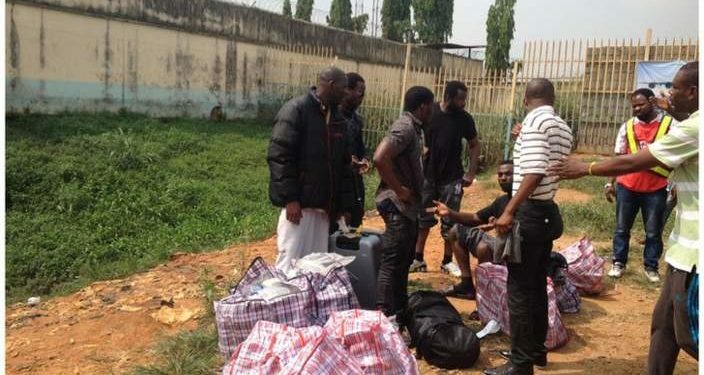 According to the NAN, the deportees landed at the Murtala Muhammed International Airport, Lagos on Monday night in a chartered aircraft from Johannesburg. They were made up of 95 males and two females. DSP Joseph Alabi, the Spokesman of the Lagos Airport Police Command, confirmed the development.